If you want to level your 4Runner without spending an arm and a leg, consider a leveling kit. If you are looking to remove that raked look (front-end slant/ pointed down), without spending close to $1000 on a decent suspension lift, then a leveling kit might be a good option. 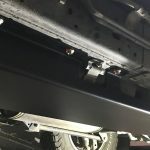 Before looking into a leveling kit, it is a good idea to understand to types of leveling kit options out there, how much they cost and then weigh the pros and cons of a leveling kit vs. a suspension kit. For the 4Runner, you have two different types of leveling kits. These extensions (spacers) sit on top of your coilover (front struts). 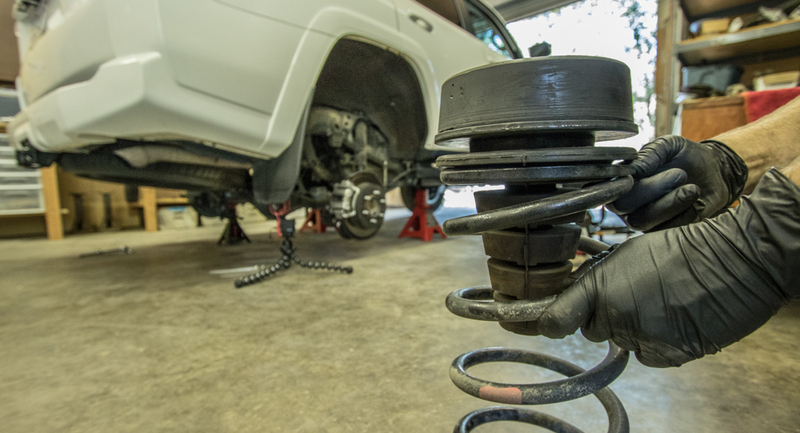 With a spacer on top of your factory coilover struts, you can add anywhere from 1″ of height up to 3″ of height. This is standard on most spacer kits for the 5th Gen.
At 3″ of height, you may want to look into a differential drop kit (diff drop) as this may help the alignment of your CV axle, put less stress on your CV boots and hopefully protect your CV joints. Some leveling kits come with a diff drop. Once you get to 3.5″ and higher, you should probably upgrade your UCAs (upper control arms) but very few leveling kits, if any will reach heights of 3.5″. This is just like strut extensions, except the spacer in the rear is placed on top of your spring. On top of your rear spring, you have a spring seat. Most coil spring spacers will sit directly on top of this coil spring seat. 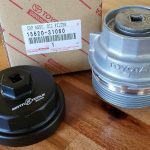 The benefit of a rear coil spacer is that you can keep the OEM quality ride while giving the 4Runner a better overall stance and slight clearance when needed. This is what most spacer kit suppliers say, but that is heavily debated. We looked at many leveling kits out there for our second 4Runner (no off-road) and decided that the Pro Comp Nitro kit was the best option. At less than $400, the Pro Comp kit was everything that my girl wanted for her set-up. We wanted a lift without spending a bunch of money on coilovers, UCAs, and springs. This kit was the best option because it came with everything packed in one box; front and rear spacers as well as the differential drop. We explored many other options in the suspension department and leveling kits. 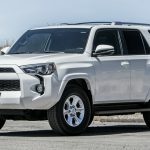 Seeing how this 4Runner will see very little off-road (maybe, the occasional easy tag-along adventure), we didn’t need anything robust or overpriced for this application. We wanted to spend money on a suspension system, just because. But we also could not justify spending over $1000 or close to on a decent suspension system. If I was going to buy a suspension (coilovers, rear springs, and UCAs), I would like to do it right and buy Icon, KING, Fox, OME or a Toytec Boss. These systems are all rather pricey. They call it a “suspension” leveling kit but to be a real suspension kit, you would need to swap in new coilovers, UCAs, and rear springs. With this kit, it will work for you as advertised and the install is fairly simple. It will give you 3″ of lift in the front and 2″ in the rear. By adding this kit, you can now add 33″ tires, but smaller 33″ tires. I would not plan on adding large 33″ tires with this spacer kit. By smaller 33″ tires, we are looking at 285/70R17s (32.7″) and not 285/75R17s (33.8″). Basically, the kit will allow bigger than the stock 265/70R17s (31.6″) with more than enough room to prevent severe rubbing on anything around 32.5″. With anything closer to 33″, you will run the risk of trimming your fender liners, having your body mounts chopped (BMC) along with other areas. This is one of the largest leveling kits out there for the 4Runner. Any larger than this and you should consider a suspension system. The combination of the Toytec 2.5″ leveling kit in the front and the Daystar 1.5″ lift in the rear is a common leveling kit. This is the combination that the dealership uses to level out 4Runners on the lot. This is the leveling kit that we came how with from the lot off the showroom floor. If you want to go with something comfortable, affordable and easy to install, these spacers are a good option. With all of the leveling kits out there being so similar, it may be hard to choose one. Just use your best judgment and buy a leveling kit that makes sense for your daily driving and Off-Road needs. In the 5th gen world, it is important to understand that everyone has a different application so take everything you read, see or hear with a grain of salt. You have SR5s with stock shocks and springs, Trails and Off-Road with KDSS and Limited Editions with XREAS. Each of these is going to feel different with a spacer kit. Our experience has been with an SR5 and a Trail Edition with KDSS. I will break them down. Was ride quality sacrificed with the ProComp kit on the SR5? Yeah, maybe a little. On the stock SR5, you may feel body roll, nose dive, slight steering wheel shake when braking, and bad cornering (again, body roll). This is all normal with the 4Runner. After installing the ProComp kit on the 4Runner, I noticed the body roll more. I felt the body roll when I backed out of the driveway more. As each wheel drops the curb, you can fell a slight sway from left to right. I also noticed more roll when cornering one-lane winding roads. Braking and nose dive stayed consistent as before, so nothing major here. Keep in mind, my daily driver is the Trail Edition with KDSS, not the SR5. My daily experience is much stiffer so going from a 4Runner with KDSS to Non-KDSS is a big difference. The kicker: My girl didn’t notice a difference one way or another after the spacer kit was installed. If you have an SR5 and you are looking to install a spacer kit, just know that more roll may be possible. Or, you may not even notice a difference at all. An upgraded suspension is the only real way to have increased on-road stiffness as well as off-road flex. My experience was off the lot with a leveling kit on 2014 Trail with KDSS. On the test drive, I noticed a difference from the SR5 to the KDSS but I wasn’t focused on it as much as I should have been. I only really noticed a difference after we bought the second 4Runner a couple years later in 2016. The point here is ride quality on a 4Runner with KDSS is better than an SR5, even with a leveling kit. This is also my honest as can be personal opinion, take it with a grain. With KDSS, I do not think ride quality will be sacrificed as much as an SR5 stock suspension. If anyone has comments or questions, leave them below. Thanks! I’ve heard these lifts do not work with the TRD Pro. Can you help? I’m looking to level my 2018 TRD Pro. Not to much but 2 in front and 3 in back or something close to this would be great. No experience with the TRD Pro. I am not sure what strut spacer will work for you. Any rear spacer or spring would work for the rear. For the front, you may have to do your research and see exactly what spacer kit will work with the TRD Pro Suspension. Getting ready to purchase the procomp leveling kit and I noticed that there is another option for the limited model. 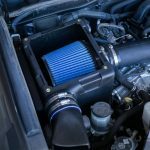 (see copy paste below) Am I safe to purchase the procomp level kit for the 2013 4runner limited? I want to pair this with some Bilstein Struts and Shocks. You should be fine on the ProComp. What other kit are you talking about? If you plan to go Bilsteins all around, why not just do the 6112/5100 kit, or something similar. Better ride quality, similar cost. I wanted to tell you that you have a super helpful website that has really been helping out with the process of playing with my newly acquired car. I have a question that you might be able to answer and since I have not found it anywhere else, I thought I might as well ask you: Do you know what kind of leveling kit I can buy for the sr5 so that I can match the lift look of the TRD PRO without having to change anything else? I have a 2015 TRD Pro and am considering the 3″ front and 2″ rear leveling kits. So following what you said to Amir about the Pro being 1″ higher already in the front, would that be a mistake? I was looking to up my tire size to the Nitto 285/70R 17s…thanx for the sharing ALL the info, it has been more than helpful!! I just put on a 2/3 Rough County , is there anything needed for the 4runner after the lift is complete? Example like a diff drop or anything ? When I get under my truck I can see where the drive line isn’t painted and looks to have came out a bit after the lift. Is that normal ? Yeah, that’s normal. And, technically you don’t “NEED” the diff drop spacer. But, it is recommended. After the install of a spacer or a suspension, your CV angle will be slightly different. CV = Constant-velocity axle (also known as homokinetic or CV joints) allow a drive shaft to transmit power through a variable angle, at constant rotational speed. You want this to be as straight as possible or overtime, your CV boots will wear. When your boots wear out and open up, this causes dirt to enter your boot which will damage your CV joint. The diff drop helps to straighten CV angle out. When you installed your leveling kit did your ABS light, traction control light and 4wd light turn on when it was done? I just finished mine and all of these light are on now. Rough country says the alignment just need to be done and the lights will turn off. Hi Brennan, I was interested in the PRO COMP NITRO 3″ LEVEL KIT. 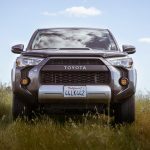 I have a 2017 4runner Limited w/ XREAS. 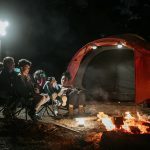 Will this kit work for me? Do i have to get rid of the xreas to make it work? 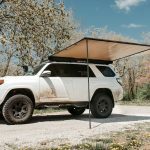 I just doubled checked with this kit on Amazon and it said that it does fit your 2017 4runner Limited XREAS. NO, you do not have to get rid of your XREAS suspension to make the kit work. Hi. Can you switch to 285 tires with the Toytec kit, or only with the Pro Comp? It depends on the exact 285 tire. You have 285/70/17s, 285/75/17s, and others. You may want to figure out which tire size you want to run before looking at leveling kits. What is the best option to level out a 2012 T4R limited edition with Xreas suspension? I do occasionally drive down gravel roads with minor off-road and towing (tent trailer). Thanks for sharing , this web is a great source of info for 4R guys. I have a 2015 4R LTD and I heard good review about Revtek spacer lift. What is your thought? At the dealership today I almost bought a 3” ready lift for my new off road premium w/ KDSS but then I didn’t anyway I’m now thinking about the 2.25 readylift leveling kit, any suggestions? Yes do it or no don’t ? If you can afford a suspension, buy one. Leveling kits are always an affordable option for “the look” but will never provide the functionality of an aftermarket suspension. 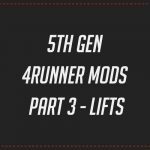 Ready Lift is fairly priced for what it is but there are many other options out there for around or under $1000. Ride quality is a big factor for leveling kits vs suspension kits. 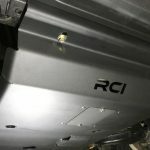 On this post, we covered the ride quality of spacer kits with spacers on the SR5 and our trail with KDSS. 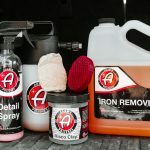 It’s really on you to decide how you want to affect your ride quality. I installed the same kit and found that the rear is too high even with 2″ lift. Even though I could able to change the tires to 33″ ,the ride quality is close to OEM and also the whole body is leveled, I dont like the rear rake. What can be done to improve the Vehicle stance? I checked with my Mechanic for options and they said there’s none. Great post! I have a 2017 TRD Off Road Premium, and am thinking about doing the spacer kit. You mentioned that the ride quality was better with the KDSS, but here is my question for you. What are the biggest affects to the overall ride quality that I should expect after leveling? I’ve been driving it for a few months, and I love how smooth the vehicle is for my every day driving. However, I love the look of a leveled 4R too! 🙂 just trying to know what to expect as far as overall “feel”? Thanks! 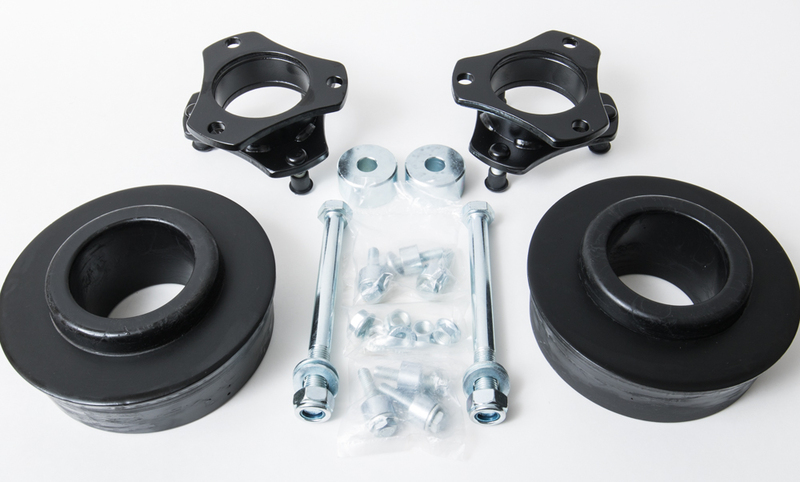 Spacer kits (front and rear – like the ProComp) will change your ride quality. You will have more body roll, and chances of increased nose-dive. It really depends on the driver and how much you notice those changes, though. If you are looking to level the front only, then your ride quality won’t be affected “as much” but it will still be affected. A good/affordable way to level the front only would be to buy an adjustable 6112 or 5100 Bilstein shock for the front. That would allow you to level and it would also enhance your ride quality. The difference in price would be $300 for a leveling kit and around $1000 for 6112/5100s all the way around. Or you can just buy the 6112 and level the front only, that would be around $600. 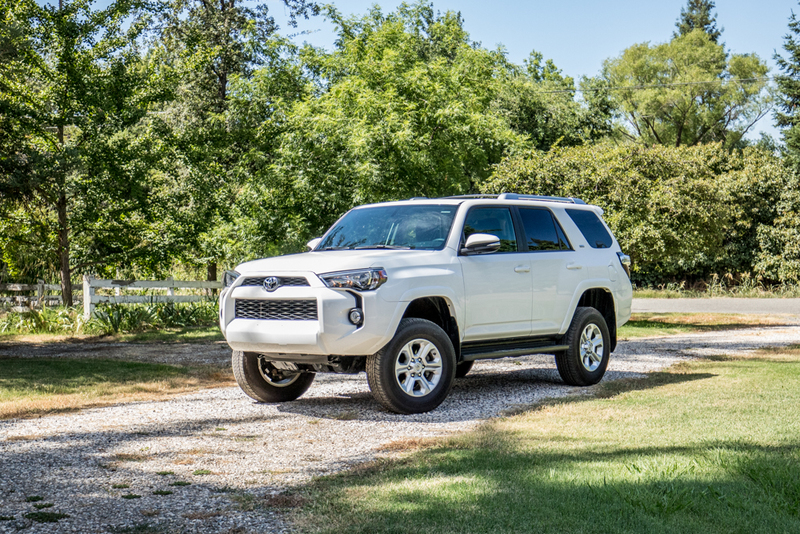 I have a 2018 4Runner off road premium w/ KDSS. I’m running 275/70/17 ko2’s with TRD pro wheels. I’m looking to do the bilstein 5100’s series shocks and struts with day rear spacers I’ll use my stock springs, looking to do 2.5 front 1.5 rear. I was also quoted only $30 for a diff drop, but will I require it with such a small lift ? And will I require UCA’s ? I just want to do this right . Love this site! I have a 2002 4Runner Sport Edition and just bought a 2018 TRD Off Road Premium. I want to beef it up..look is what I am going for but I can’t do the install. I’m having a hard time finding a dealer that carries/installs the ProComp. I was told today that the only thing compatible with the KDSS is a 4” suspension. I’m in Northern California, Sacramento area…. if anyone has any suggestions, they would be appreciated! Whoever told you that was wrong. 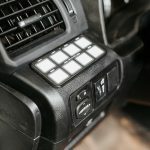 You can install a wide variety of kits on a 4Runner with KDSS. If you are in Sacramento, hit up Stellar Built and tell him what you are looking for. He can order you a kit and install it as well. I have what is probably a really dumb question. I bought a 2012 Trail Edition from a dealer. The CarFax makes no mention of a level kit or aftermarket suspension (I understand that the prior owner could have done this himself), so how do I know if one has been put on already or not? The suspension would seem obvious to the naked eye I think, but not so much the leveling kit. 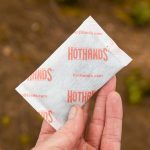 I am brand new to all of this, but have found so much valuable information here! Thanks in advance! This should be pretty damn close to level. When I had this installed from the lot, the 4Runner was sitting almost exact. You can see a few of those shots here. I wouldn’t recommend that set-up though unless you have KDSS. You have KDSS so your ride quality should be fine (nice and stable with a bit of comfort). Without KDSS your ride will be pretty floaty, lots of body roll and nose dive. The better, more affordable option would be a Bilstein 6122/5100. I have the same question as Eric. Just bought a 2018 TRD off-road w/kdss. I also want to just level the front & reduce the nose-dive (so annoying). It’s sounds like your saying this can be accomplished with the Bilsteins, is that along with the spacers, or just on their own. 6112 Bilstiens are adjustable. You can adjust those to 1.5″ in the front to level. In the back, you can leave the factory spring and shocks. Or, replace the shocks with 5100s. No spacers needed for this. Just the 6112s. Great site with lots of info. I just got off the phone with a Toytec tech and he stated the 2018+ limited with XREAS has a one inch shorter rear shock and will over extend with their 3/1.5 leveling kit. Can you confirm this, and if so, will a 2” front spacer only be ok to level? No real experience with the limited. I don’t see why leveling the front only would be a big deal. Maybe I am overlooking it but does the 65210k kit work on a 15 Trail with KDSS? Ross, yeah, this kit will work on KDSS. Awesome site! Quick question. I just bought a stock 2012 trail edition. I want to lift and level and drop a set of smaller 33s on as mentioned above without cutting anything up. I called pro comp today as there site said they didn’t have a leveling kit for the trail. They told me they don’t have a leveling kit for it yet but it’s currently in the works. Any thoughts on that? Hey Brenan! Great site with lots of good info. I’m looking at installing this leveling kit (https://www.roughcountry.com/toyota-suspension-lift-kit-764c.html) on a stock ‘17 SR5. The instructions say it’s 2” in the front and 1” in the rear. Two questions: 1. Do you think this will require spacers for the differential? 2. How hard is this install to do on my own? I’ve done break, starters, etc. the install videos don’t look terribly difficult. You don’t need a diff drop for that leveling kit, no. Usually 3″ and higher you do. 2″ should be fine. The SR5 is going to be easier than KDSS with one person for sure. I would still highly recommend two people for any suspension installs but I am sure you can pull that off alone is it was your only option. I have a 2018 TRD Premium. From what I’ve gathered from all previous questions is that I can level the front with the 6112. What I’m wondering is, do I have to replace UCA’s? You can level with a 6112, and no you don’t need UCAs for a level only. Hey! I have a 2018 off road with KDSS. Do all of these leveling options you mentioned work with the KDSS system? Or are there preferred leveling kits specifically for KDSS. I have been trying to research this online and it’s proven to be a little difficult to find. Also, I would like to eventually install a low profile bumper with a winch. If I get a leveling kit, will this drop my front end down down again? If so what would you recommend to keep it level with the weight of a low profile bumper and winch? Thanks for any and all your help…this page has been a huge help. I have a 2016 4Runner SR5 with a 3″ lift (leveling kit) with LT258/65 R18 Nitto Grapplers tires. Would by any chance you know how high my car is? I’m shipping my car from Hawaii to California and it can’t be more than 7′.